A pension fund is an investment product into which scheme members pay contributions in order to build up a lump sum to provide an income in retirement. The Government also pays back the income tax deducted from these contributions. In many cases, this is topped up with contributions from the scheme member’s employer. This money is invested in a suite of themed funds – much like retail funds, run just specifically for retirement savers. These are combined in a portfolio, benefit from extremely low charges and are tax-free. These underlying pension funds are run by insurance companies and a small section of asset managers. In 1997 the Association of British Insurers (ABI) introduced sectors as a system for the classification of life and pension funds so that consumers and financial advisers can compare them on a like-for-like basis. Every sector sets clear criteria that must be followed by funds wishing to belong to that sector. The ABI Sectors contain more than 8,000 life and pension investment funds, with more than £700 billion in assets under management. There are two main types of pension scheme – defined contribution pension schemes and defined benefit pension schemes. Defined benefit pension schemes promise an income in retirement based on your tenure at an employer and the wage you earn. Final Salary Schemes – often called referred to as “gold-plated pensions” are a type of defined benefit plan. With a defined contribution (or DC) schemes your retirement pot is based on contributions from the scheme member, with additions from their employer in most cases, and stock market returns over your membership tenure. Auto-enrolment will result in around 10 million people being enrolled into DC schemes by 2018. The majority of DC pension savers are invested in the ‘default’ pension. 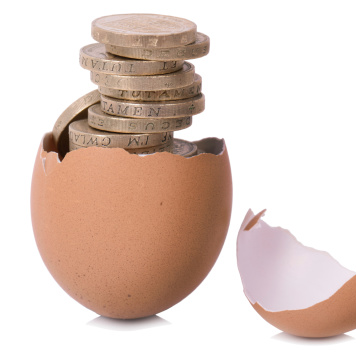 Nest, the government provided auto-enrolment scheme revealed that 99% of its members are invested in the default pension. This default is a blend of underlying investments, with selection determined by a number of factors – predominantly the age of the member. While scheme members are young they are in “growth stage” pension funds, typically higher risk assets such as emerging market equities. Employers have to provide a default option for savers who do not wish to engage with investment selection. For those members that do they can chose from a selection of actively run retail funds nominated by their pension provider. Who is Responsible for Your Retirement Income?